The groundbreaking debut novel from bookmaking pioneer, Brian Selznick! Orphan, clock keeper, and thief, Hugo lives in the walls of a busy Paris train station, where his survival depends on secrets and anonymity. But when his world suddenly interlocks--like the gears of the clocks he keeps--with an eccentric, bookish girl and a bitter old man who runs a toy booth in the station, Hugo's undercover life and his most precious secret are put in jeopardy. A cryptic drawing, a treasured notebook, a stolen key, a mechanical man, and a hidden message from Hugo's dead father form the backbone of this intricate, tender, and spellbinding mystery. With 284 pages of original drawings and combining elements of picture book, graphic novel, and film, Brian Selznick breaks open the novel form to create an entirely new reading experience. Here is a stunning cinematic tour de force from a boldly innovative storyteller and artist. 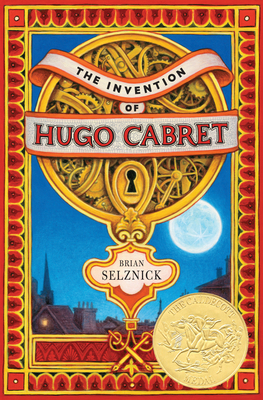 Brian Selznick is the Caldecott Medal-winning creator of the New York Times bestsellers The Invention of Hugo Cabret, adapted into Martin Scorsese’s Oscar-winning Hugo, Wonderstruck, adapted into Todd Haynes's eponymous movie, and The Marvels. Among the celebrated picture books Selznick has illustrated are the Caldecott Honor Book The Dinosaurs of Waterhouse Hawkins by Barbara Kerley, and the Sibert Honor Book When Marian Sang by Pam Muñoz Ryan. His books appear in over 35 languages. He has also worked as a bookseller, a puppeteer, and a screenwriter. He divides his time between Brooklyn, New York and San Diego, California.